The 1st Place for Graduate Careers! 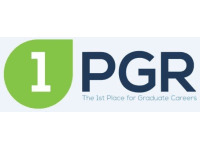 1PGR is a leading graduate recruitment company. The 1st Place for Graduate Careers. Our consultants specialise in placing graduates into roles across the UK. Everyone at 1PGR has been in the very position you are, so know how best to help. We also offer advice on CV's, career prospects, interview tips and your general job search.